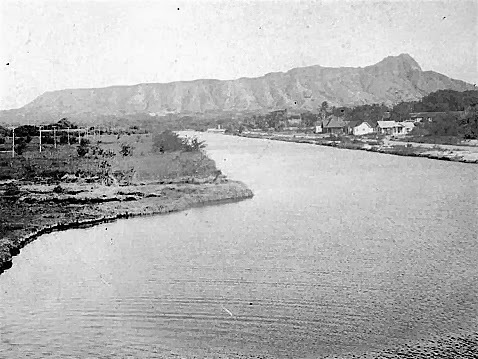 Following the annexation of Hawaiʻi to the United States in 1898, plans evolved for the coastal defense of the island and the Naval station at Pearl Harbor. In 1906, the US War Department acquired more than 70-acres in the Kālia portion of Waikīkī for the establishment of a military reservation; it was designated Kālia Military Reservation, but in 1909 was renamed Fort DeRussy in honor of Brevet Brigadier General Rene Edward DeRussy, a veteran of the War of 1812 and the Civil War. Back then, nearly 85% of present Waikīkī was in wetland agriculture or aquaculture. 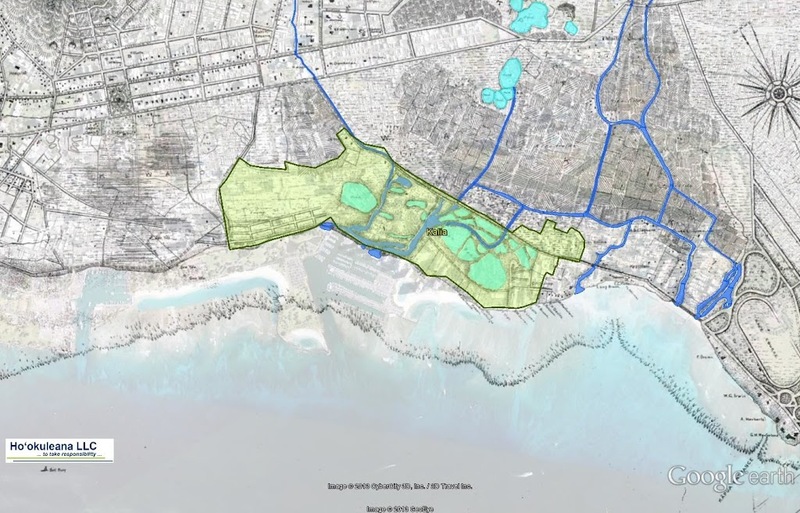 The Army started filling in the fishponds which covered most of the Fort – thus, the Army began the transformation of Waikīkī from wetlands to solid ground. The post was used almost exclusively as a seacoast defense for Honolulu Harbor during World War I. During World War II it was used for seacoast and antiaircraft defense, as a garrison for troops, headquarters for the Military Police, as a camouflage school, and as Headquarters for the US Armed Forces Institute. The area also served as a rest and recreation area for personnel in the middle Pacific Area. Fort DeRussy was the biggest recreation center on Oʻahu, providing clubs and overnight accommodations for enlisted men and officers. In 1949, the post was officially designated an Armed Forces Recreation area. And, that, in part, is what this summary is about … the Maluhia Recreation Center. The area contained a gymnasium, bowling alley, bathhouses and dressing rooms, a snack bar, surfboard lockers, a fully equipped dark room, a studio for making recordings, a library, a hobby shop, a pistol range within the coastal battery, an officers’ club, hotel facilities, and bars and restaurants. A tram shuttle service ran between Maluhia and the bathhouses on the beach. Before WWII, six different agencies were providing recreation, entertainment, and support services for the US Armed Forces, in addition to their regular services. These were the Salvation Army, the YMCA, the YWCA, the National Catholic Community Service, the National Jewish Welfare Board and the Travelers’ Aid Association. In early-1941, the groups decided to pool their efforts, and a single group was formed – the United Service Organizations, or USO. The six agencies continued with their other charity efforts, and the USO managed the US Armed Forces work. The USO was entirely a civilian volunteer operation. During WWII, the USO used what buildings they could, such as churches, private homes, beach and yacht clubs, commercial businesses, and even railroad cars. Services provided included dances, food, facilities for pressing clothes, showers, reading rooms, games, among others. The most publicized was the live entertainment for the military personnel stationed throughout the world. It was provided by Camp Shows, Inc., which was a separate organization of professional entertainers and managers set up and supported by the USO. Maluhia, which means “haven of rest,” was opened on April 27, 1943 as a recreation center for enlisted men. 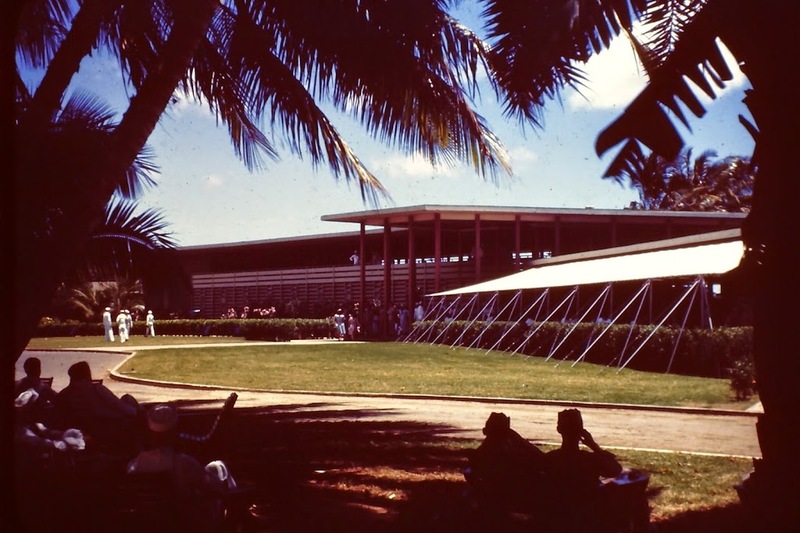 Although built by the Army on Army land, the building was constructed to serve as a recreation center for the men and women of all of the armed forces, including those stationed in Hawaiʻi and those passing through Hawaii while returning home from the warfront. It was one of the largest of its kind in the world. The restaurant and terrace provided seating for 1,200 men and women (although on busy days many more were able to pack in.) It also contained the longest bar in the Hawaiian Islands. The 1944 wing addition on the west side added a hostess office, hostess consultation room, enlisted men’s quarters room, an office for the officer in charge and a store room. “Broad lanais, spaciousness and a feeling of the ‘outdoors brought inside’ (were) some of the elements that (made) the building characteristically Hawaiian in atmosphere”. During WWII, Maluhia was open seven days a week, from 11 am to 5 pm; typically 1,000 to 2,000 people a day visited Maluhia during the week, with often over 4,000 a day on the weekends. Music was provided by various service bands throughout the islands. Free entertainment was provided each afternoon, including music, variety shows, movies and sketches. Dances were held at least three to four days a week. At the end of the war, the troops stationed throughout the Pacific gradually were taken home. The number of military personnel in the Pacific increased due to the Korean Conflict in 1950-53 and the Vietnam Conflict in 1963-73. Later, demand waned and the Maluhia Hall was eventually torn down. Recently, the Asia-Pacific Center for Security Studies celebrated the official opening of a new “Maluhia Hall,” a new state-of-the-art learning center at Fort DeRussy. The learning center brings more than 10,000-sq ft of additional classroom space to support the US Department of Defense institute’s security cooperation and executive education programs. The image shows Maluhia Recreational Hall. (Rogelio Alberto Casas) In addition, I have added other images in a folder of like name in the Photos section on my Facebook and Google+ pages.